Recreational vehicles are very popular these days, especially in Arizona. We have so much open space to use these vehicles. 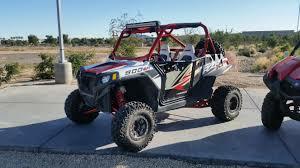 We constantly get asked by folks considering purchasing a new ATV, 4 wheeler, Sand Rail, UTV, Side by Side, if they need to get it licensed and insured. We here at Mosaic Insurance hope to provide some clarification on when you need to have your ATV Insurance in Prescott. What does Arizona State law say? Every off road vehicle needs to have a title and a license plate. If the seller does not have the title, you can apply for one through the Motor Vehicle Division (MVD) office. The MVD will give you an off-road license plate with “RV” printed on the state. (Recreational Vehicle) You need to affix the license plate on the rear of the vehicle. You will also need to attach the off-highway vehicle decal to the plate. But I want to drive my vehicle on the street. If you want to ride on the regular town streets you will need to satisfy a couple of additional requirements. First, your vehicle has to be “Street Legal.” If it is, you will need to register it with the MVD office. To register the vehicle with the MVD, you will also need to have insurance coverage. You cannot drive your vehicle on paved roads or highways without insurance. Lastly, you’ll want to make sure you always have your registration and insurance cards with you when operating your vehicle.